Coca Cola is a very popular brand of carbonated soft drinks and the headquarters of the company is situated in a Midtown Atlanta, Georgia. The company was launched in the year 1886 and it produces the drinks in different flavors, which includes Cola Cherry, Cola Green Tea, Cola Lime, etc. The company has introduced a number of soft drinks like RC Cola, Zam Zam Cola, Evoca Cola, Pepsi, Cola Turka, etc. One of the most common and the most popular soft drinks is the Diet Coke. In 2011 company celebrated it's 125 anniversary. There are currently 2 consumer reviews about Coca Cola available. Share your review. this is a note about the office that services albany,ga area i manage a store that is serviced by the plant in syslvester ga. this branch does not work with the store on ads and they don't they work with the manager . it is all cokes way or no way . i know that i am cokes customer and should get better service. i have to go out of my to insure that my customers are satified and i think coke as big of company as it is should threat it customers the same. 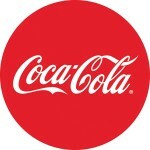 Please take a note that you are about to post a public review about Coca Cola corporate office on CorporateOffice.com. This review will be public, so please do not post any of your personal information on this website. If you would like to contact the corporate offices of Coca Cola, please use their contact information such as their phone number, website, and address listed above to contact them. However, sometimes staff from Coca Cola headquarters do read the reviews on this website.